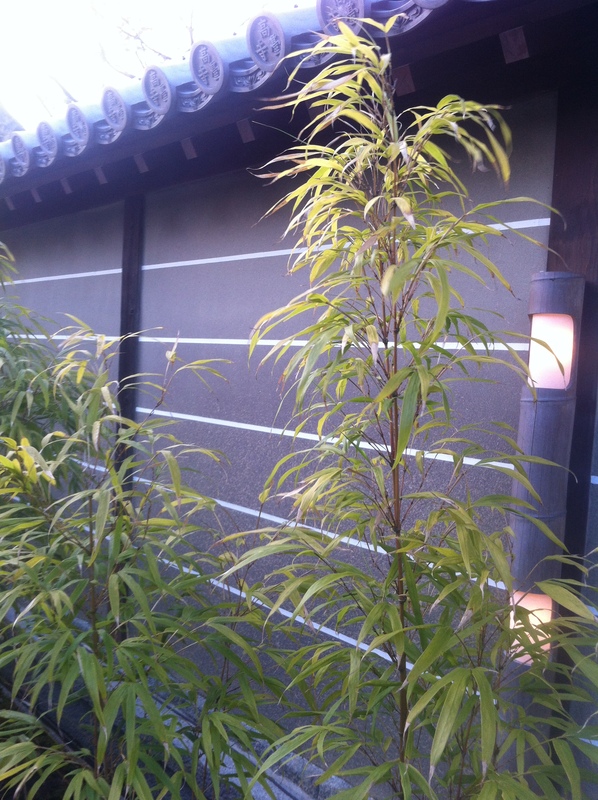 Traditionally, earthen wall surfaces are a defining characteristic of structures in a Japanese garden. Their “earthen” aspect is almost always overlooked because it is far from obvious — the quiet, clean, straight-edged walls simply blend in to their natural, carefully maintained environment. It is easy to assume they are built of drywall and finished with paint, or stucco. 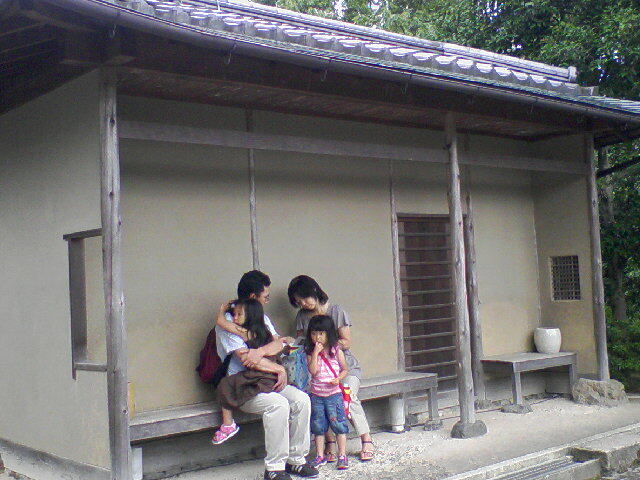 As a result, Japanese gardens in this country too often lack this important element. The consequence is an unintended addition of the hard, cold surface of commercial western finishes, typically a cement-based plaster or glossy paint. …and doubles as a tool shed. Built and finished with earthen plaster. 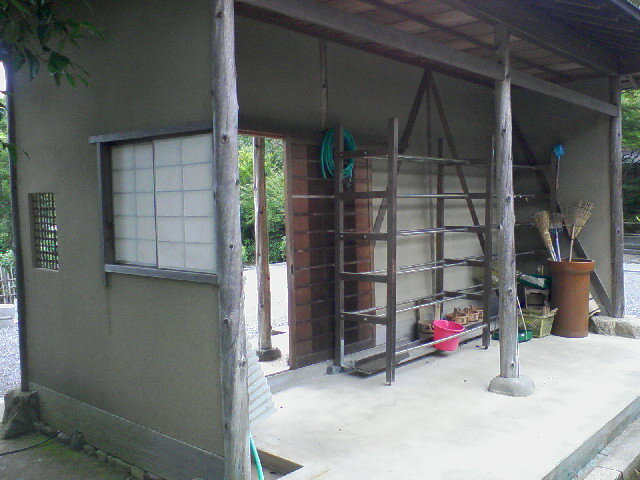 However, when a Japanese garden practitioner is alerted to the traditional nature of the garden structure surface, they immediately grasp the importance of the aesthetic. The implication is that there is a simple way to deepen and improve the garden experience for visitors. This is an exciting addition, allowing for greater authenticity in these spaces that are proving to be true healing grounds for a variety of health issues. NAJGA’s second biennial conference, held in Chicago in October, 2014, championed the theme “New Pathways: The Role of Japanese Garden for Society and Self,” and had a strong focus on the healing properties directly generated by time spent in a Japanese garden. Fascinating reports came from a hospital in Lebanon, Oregon, and a museum and garden in Delray Beach, Florida.